This is a bet on one possible outcome of an event. It has no connection to other outcomes of other events. To win, the punter has to guess the outcome only of the event he has placed his bet on. The winnings (the sum to be paid) is calculated by multiplying the sum the punter has bet by the odds for the outcome he has chosen. It is also called an accumulator, a multi bet, an express bet, a combi bet and a parlay. This is a bet on more than one independent outcomes of different events. It is permissible that the events are for various sports. For the bet to be winning, all the outcomes the punter has guessed have to be correct. If even one of the outcomes he has predicted is not correct, then the bet is losing. The odds for the multiple bet is the product of all odds for the outcomes he has chosen. To calculate the winnings for the bet, you have to multiply the odds by the sum that has been bet. After we have made a choice, the selections can be seen in the bet slip, the bookmaker having calculated the final odds by multiplying the individual odds for our selections. For a $10 bet the bookmaker has calculated a $44.40 winnings. If the end result of a selection is “push”, then the selection is treated as a winning with odds of 1.00. 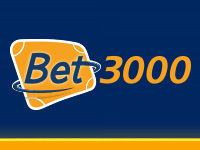 Each bookmaker chooses the maximum number of selections to be included in a multi bet. Other limitations concern which selections to be included in the multi bet. Linked outcomes of an event cannot be selected for one multi bet. Such a link, for instance, can be discovered between a selection from the common possibilities and a selection from the additional choices for the same event, such as leader of halftime, over/ under, correct score etc. 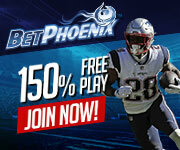 It is useful to know that some bookmakers offer bonuses for multi bets and the greater number of selections, the higher percentage of the bonus. It is advisable that the punter reads the Terms and Conditions at the bottom of the page as to avoid eventual misunderstanding between him and the bookmaker. It is possible that the bookmaker sets additional conditions for the rollover of the bonus. All restrictions and specific requirements concerning bonuses for multi bets should be described clearly and adequately in the Terms and Conditions.